Compatible LCD Models (2010) LX9500, LEX9, LEX8, LX6500 ***These 3D Glasses are not compatible with 2011 RF 3D Models. Fully compatible with LG AG-S110 model number glasses. 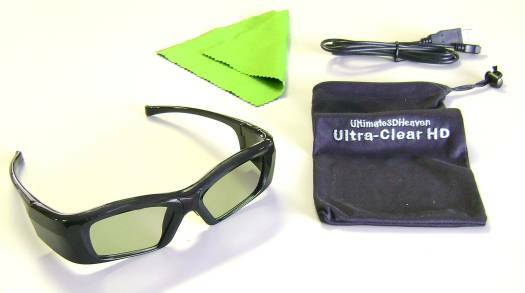 These state of the art ultra clear low cost glasses out perform any other 3D glasses. Our Ultra-Clear HD 3-D Glasses equal and exceed the quality and comfort of all major brands. You don't have to pay hundreds of dollars for extra LG 3D glasses! Our glasses are compatible with all LG 3D home theater systems. These professional 3D glasses will also work perfectly with any LG television that puts off a IR 3D signal.